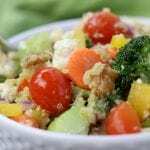 Tangy, creamy and crunchy, Quinoa Crunch Salad is special enough for Easter dinner and the leftovers are perfect to pack for lunch. One of the cool perks to having my husband travel all over the country is getting to live vicariously through his dining experiences. Now don’t let that statement fool you. He has quite a few dinners on the fly while on the road but, he has gotten to eat at some pretty cool restaurants non the less. In fact, it has almost become a game that he takes pictures of his food and I salivate jealously on the other end of the phone. 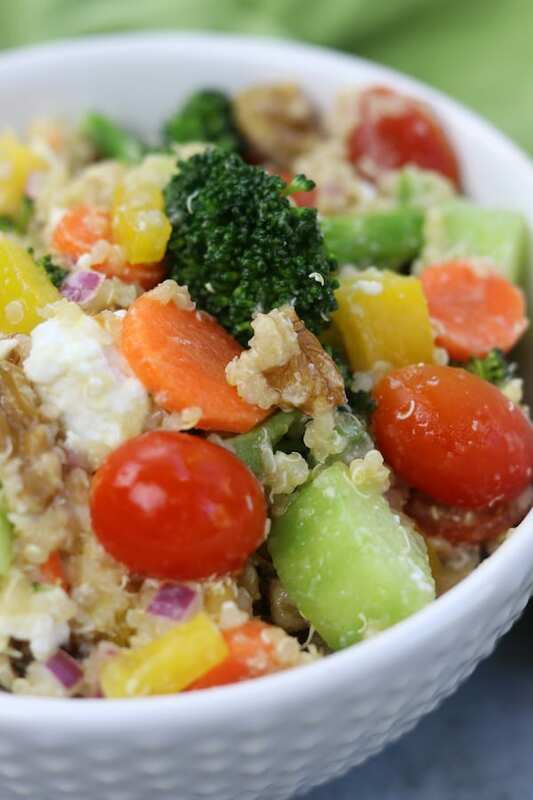 A few years back, while visiting New Orleans, he had a quinoa salad very similar to this Quinoa Crunch Salad. As soon as he told me about it I made him list all the ingredients that he could and jumped right to making it, with my own spin of course. I was so excited to see how the walnuts would taste in a vinaigrette with all these veggies and feta. Let me tell you right now, all these textures and flavors is like a trip to Disneyland for your taste buds. I also love that it is insanely healthy while being gluten free. 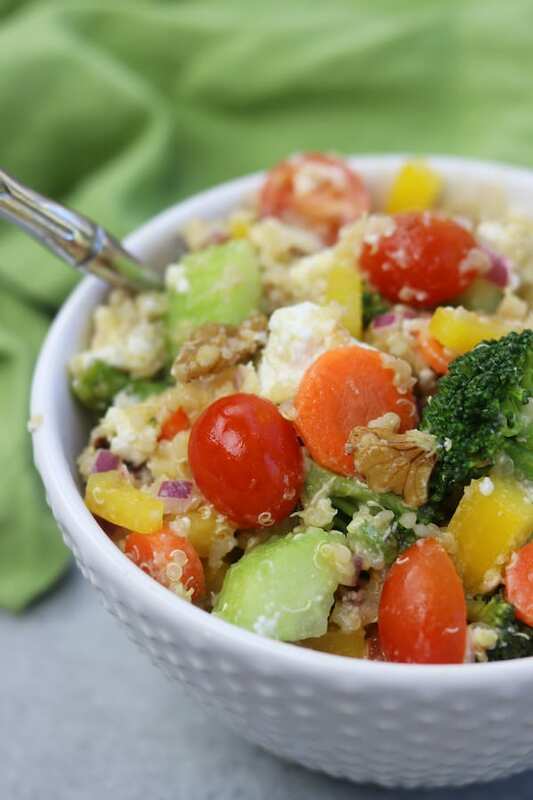 The veggies in this Quinoa Crunch Salad are generally available all year long. As an alternative though, asparagus can be substituted for broccoli in the Spring. I have at various times also added to this Quinoa Crunch Salad chunks of avocado and green olives that have been cured in water & sea salt (Trader Joe’s carries them at a great price). Make sure to not add the cut tomatoes and cucumber until the salad has cooled down. Those two veggies are best in this salad if not cooked. Substitute veggie broth for chicken broth for a vegetarian meal. 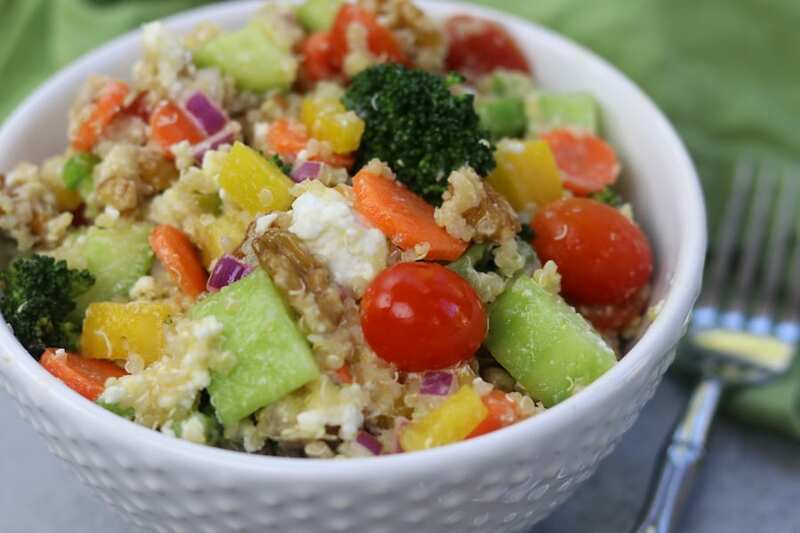 This recipe makes a large bowl of salad but it is so loved at my house it ALWAYS goes quick. It tastes great as leftovers and is perfect for packing a quick lunch. Cook quinoa in broth according to package. While quinoa is cooking prepare broccoli. Once quinoa is done, turn off flame, stir in florets and cover with lid again. Let mixture sit in hot pan for about 10 mins to slightly cook broccoli. 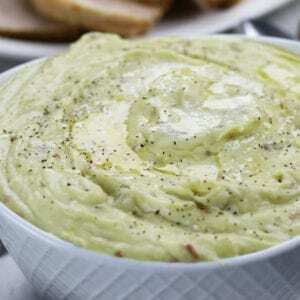 In the meantime prepare vinaigrette by whisking oil, lemon juice, garlic and salt together. Add quinoa /broccoli mixture, stir well. Prepare veggies and add all but tomatoes and cucumbers to salad. Add feta and walnuts, stir well. Once salad has cooled down to room temperature add cut tomatoes and cucumber, stir well. 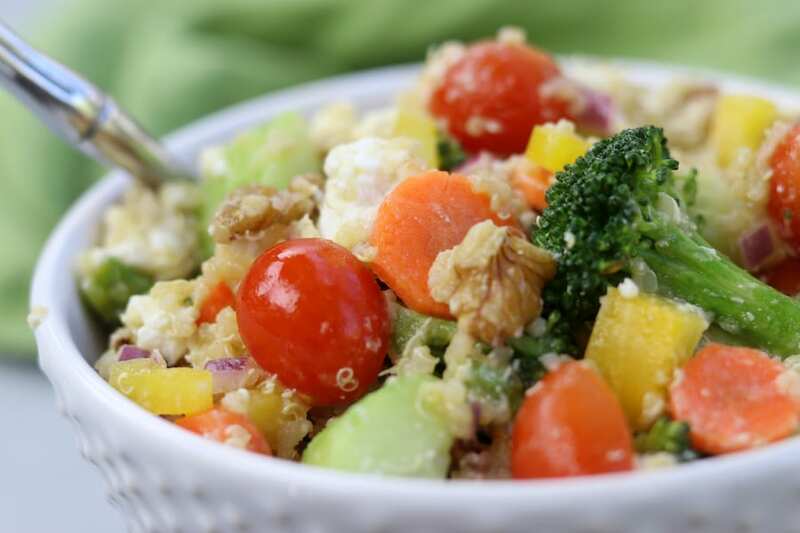 Salad is meant to be eaten at either room temperature or cold. This sounds amazing and I cannot wait to try it! Thank you! Thank you Annie. I hope you enjoy!